During the big crypto rush of late 2017 driving factors were primarily based on fomo and speculation. The following year was a different story as the selloff gathered momentum and inexperienced traders ran for the hills. The serious players stayed in the game and they don’t come much bigger than Nasdaq which is now working with seven different crypto exchanges. Nasdaq’s proprietary surveillance technology is available to those that can foot the hefty bill for it but crypto exchanges need more than just money. Stories of trade volume and market cap manipulation in the industry have increased in recent months so the need for fraud free figures has never been greater. According to Forbes Nasdaq has a team of around 20 people that work on due diligence processes for crypto exchanges ensuring that they adhere to strict reporting and security standards. Only seven crypto exchanges have passed this test and only two have been publicized; Gemini and SBI Virtual Currency. Demand for the technology is increasing as more exchanges open up and join the competition for clients. To get the upper hand they need reliable volume figures and Nasdaq has become the standard for providing them. Nasdaq’s head of exchange and regulator surveillance team, Tony Sio, shared some insights with the media yesterday on how the company on boards new exchanges. “Historically, we don’t do such a large vetting process for our clients because they are much more well-known. But as we started working with less well-known names, startups, then we realized we needed to do this check process,” he said. The selection process is broken into three categories; Business Model, KYC/AML, and Exchange Governance & Controls. The first of which is concerned with the reputability of tokens available for trade on the exchange. 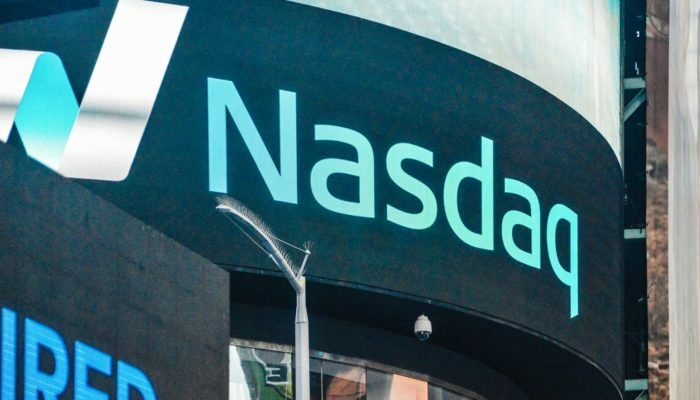 Nasdaq is concerned about who is using crypto and how it is being used. The KYC/AML part is also concerned with the organizational structure and owner’s background in terms of technical and financial market knowledge. Nasdaq is carrying out its own KYC procedures on the exchanges and is only willing to work with proven entities. The third criterion involves the crypto token listing process and how clear it has been made. Some exchanges are rather vague when it comes to new listings, others such as Coinbase publicly post their processes. “The objective that we’re trying to work with crypto, is we see this as a growing asset class. So we’re working to help provide our technology, it could be around matching, it could be around surveillance, to help our customers as they grow their marketplaces,” added Sio. The interest and involvement from financial heavyweights is a testament to the longevity of an industry that has only just begun.